Chepngetich trails only Radcliffe and Kenya’s Mary Keitany, who had recorded 2:17:01, also in London. Incidentally, Chepngetich won the Istanbul Marathon with a timing of 2:18:35 just over 10 weeks before coming to Dubai. Only eight women in the history of marathon have broken 2:20 more than once in their career. “I always aim to improve my timing and I have moved up from the seventh place in the list of fastest runners,” Chepngetich added. 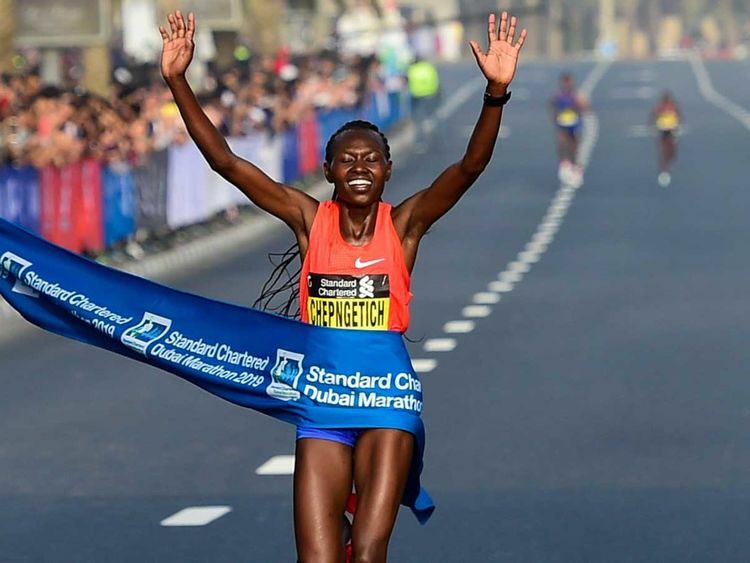 During the run, Chepngetich had trouble picking out her drink bottle from the water stations on multiple occasions and, had she managed it without affecting her speed, she may have even recorded under 2:17.